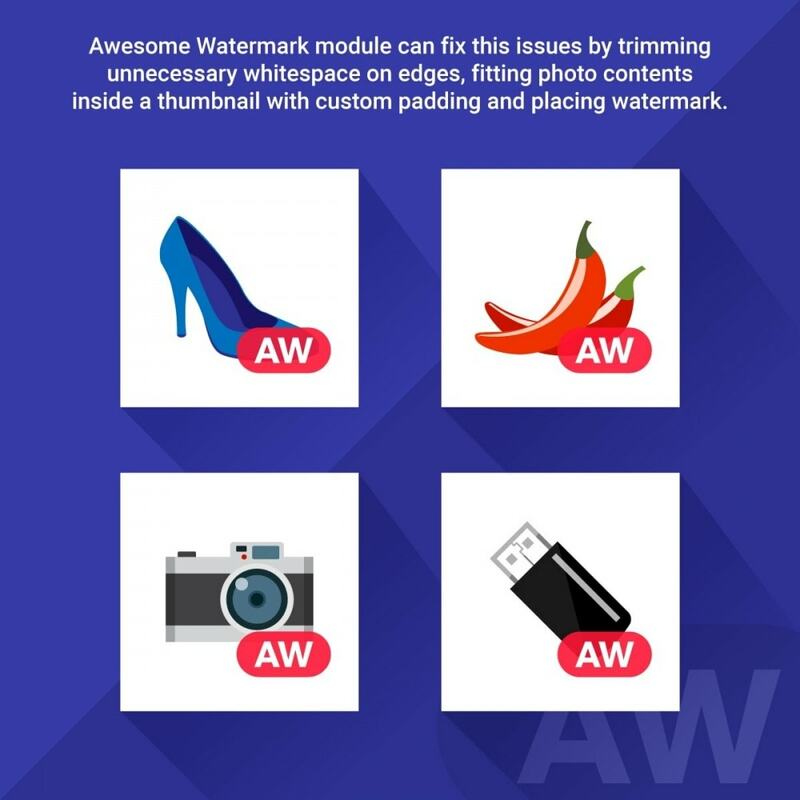 Module allows you to trim photos, place different watermarks on thumbnails and then regenerate all with AJAX procedure. 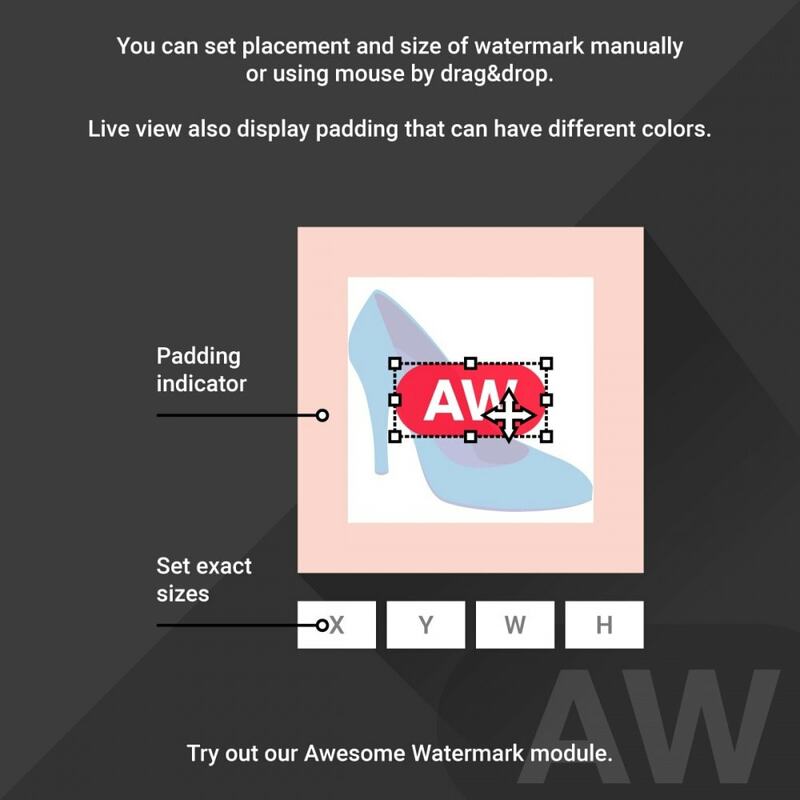 Remove edges, add padding to any thumbnail and place watermark in custom position with drag&drop. This module protects your product photos with logo and disallow downloading original files *. 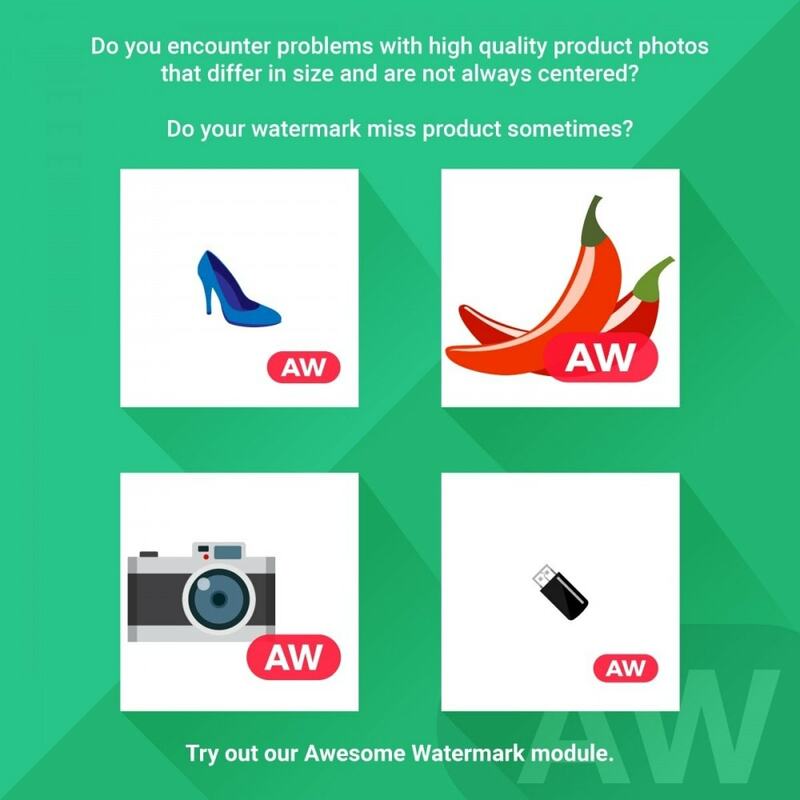 Your customers will see watermarked photos on Search Engine and will instantly recognize your brand! This module can also automatically center main part of photo if background color (whitespace) is solid (it can be any color but must be solid) or if you have smaller and bigger thumbnails that doesn't look attracting to you and customers. NEW: You can choose which images you want to regenerate. NEW: You can choose categories in which product photos won't be watermarked (it applies to product default category). Add watermark to any thumbnail size. 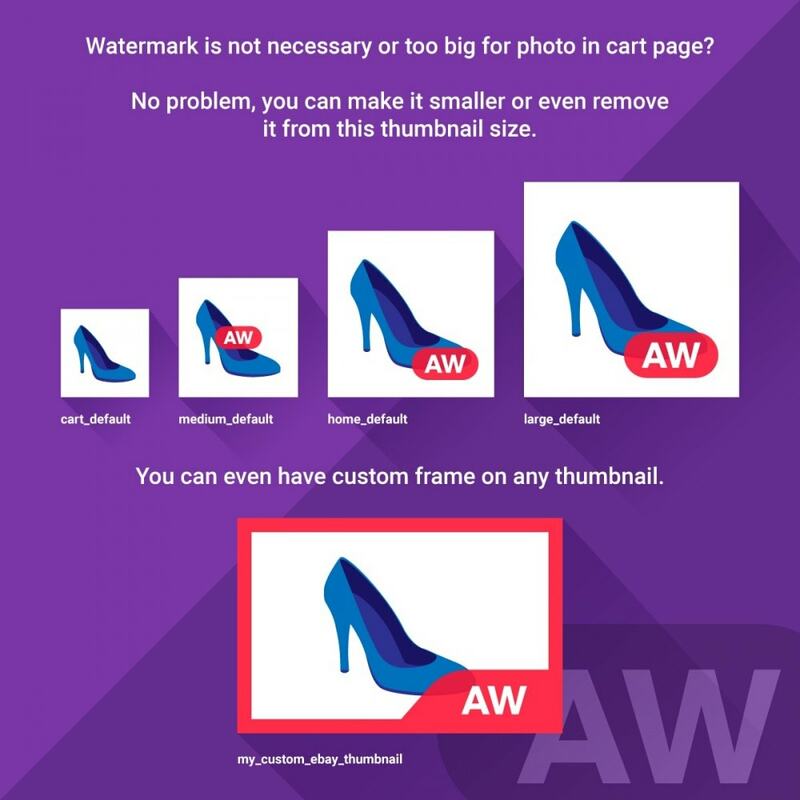 Set watermark size and position on all or selected thumbnail sizes manually or by drag&drop. Fill background with selected color. Trim photos out of different edge margins (only if background color around photo is solid) before adding watermark. 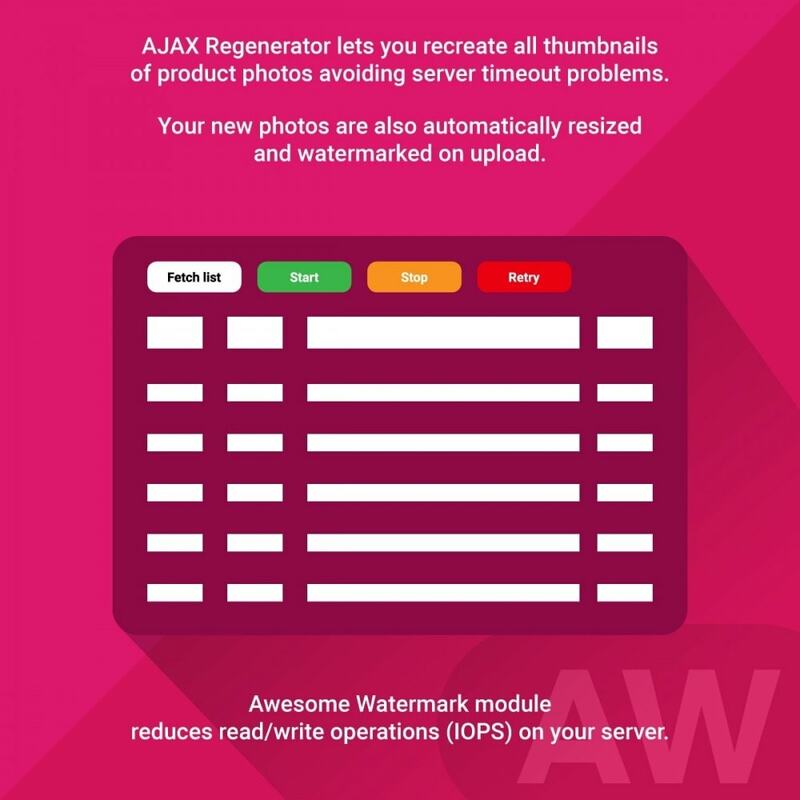 Regenerate thumbnails with AJAX (this prevents your server from overload). Any failed resize attemp can be retried during procedure, you can pause and resume it. This module also optimizes disk read and writes (IOPS) (compared to original watermark module) on your server because main photo is opened only once for all thumbnail sizes, it may use more memory but is also fast. It is different from official module because it doesn't store original thumbnails created by builtin mechanisms and thus saves disk space. Watermark is added in last operation so you won't have problem with too small watermark on bigger photos. Content Protection provides complete security for your shop, so that the plagiarists could not copy the content and steal data or images from your site. All e-merchants are faced with the problem of partial shipment or the management of remaining order. Keep inform your customers in real time and improved your customer satisfaction. 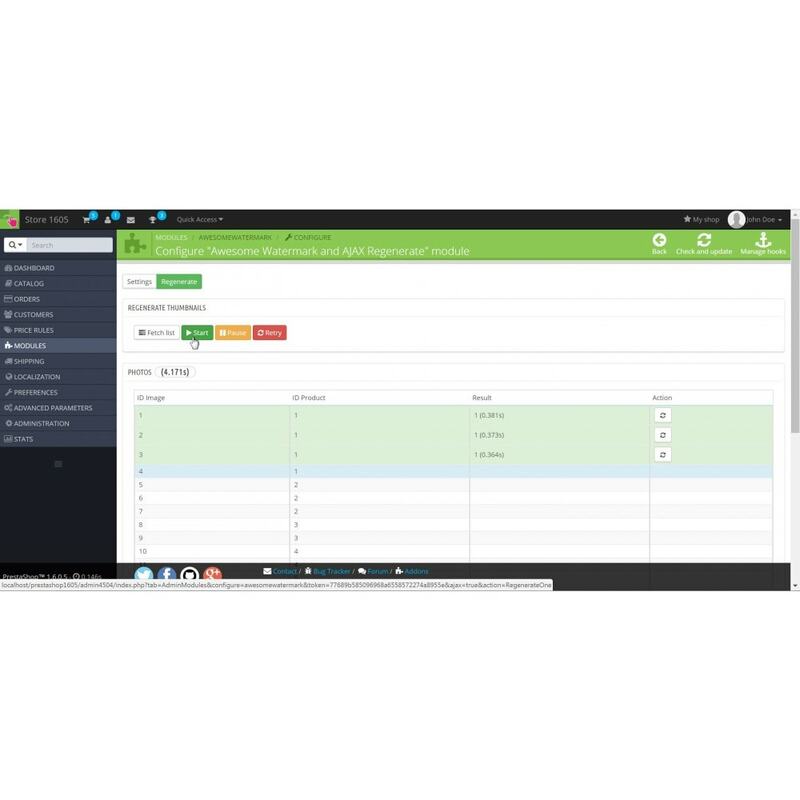 The most advanced module for managing your partial shipments. Allowed watermark files: PNG, GIF, JPG (JPEG). PNG is preferred because you can set transparency yourself in your files. *) Protection is set on Apache .htaccess config file manually. Because configuration may vary on different systems and Prestashop instalaltions, you are responsible to setup and check if protection is working by yourself and that original files are not downloadable. 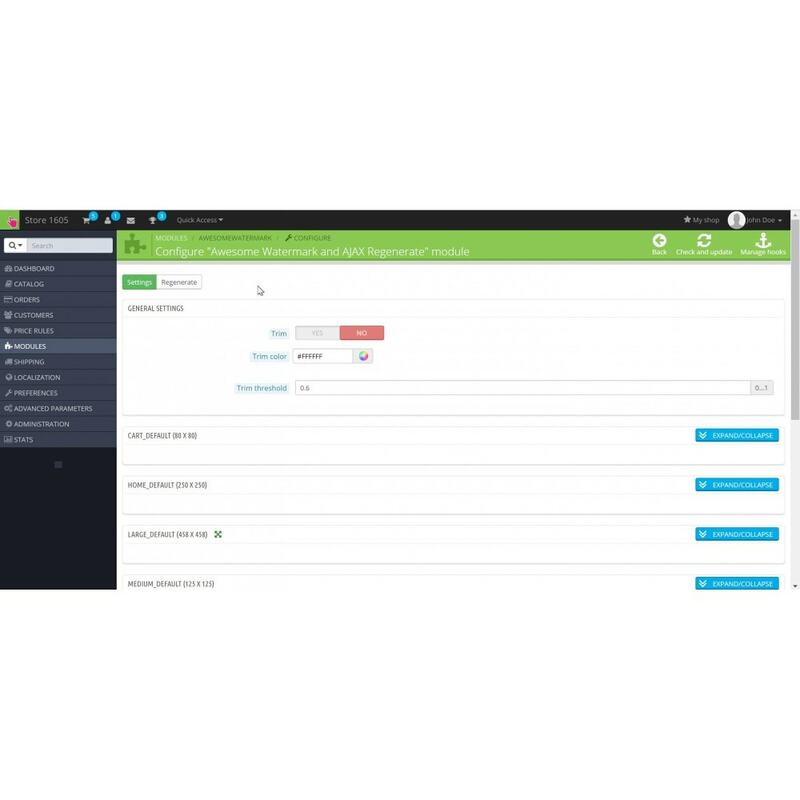 It is very easy task to check this functionality. Please contact us it you encounter errors with .htaccess setup. This module requires PHP >= 5.5 version.